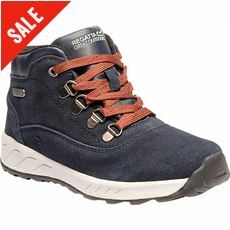 Regatta Walking Boots are designed as the perfect footwear for being out there, getting stuck in and, in the nicest way, are built to be forgotten about whislt you get active. 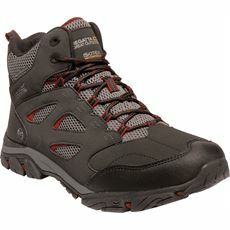 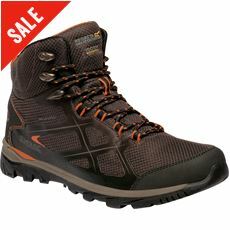 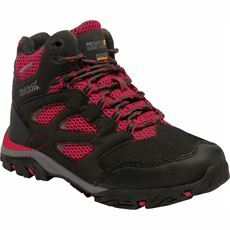 Time and money have been poured in to the boots to make sure you walk stays water free with the waterproof range, and materials such as leather, GORE-Tex, thick soles and anatomic footbeds make sure that wherever your walking, you can rely on Regatta Walking Boots to provide all day, all week, all year support, season after season, through sunshine and showers alike. Lightweight, durable and breathable, Regatta make ideal boots for any explorer keen to tackle the hills, and fabrics and technology combine so you get linings that work, keeping water out and evicting sweat, ideal when temperatures rise, both on the trail and in your boot. 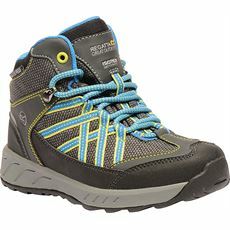 Easy to break in, with ergonomic designs to suit everyone's feet, Regatta have Walking Boots to suit every walker, from pro to novice alike.